A USA TODAY Bestselling series. "I loved Obsidian! Get ready to devour this book in one sitting, fall hard for Daemon, and be desperate for book two!" "A riveting story that will keep you turning the pages to the end, and then say, "I want more!"" 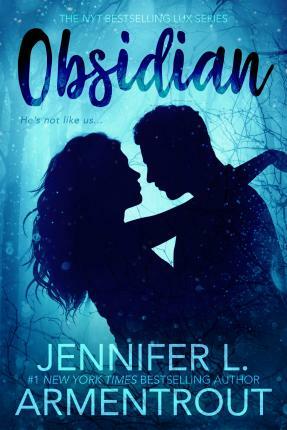 "With a unique and entrancing story, Obsidian was action packed, dramatic, captivating and exciting-I Am Number Four has some SERIOUS competition! "Talk about refreshing, Obsidian will give readers a whole new take on aliens. What Jennifer did with this story is absolutely awesome! You do not need to be a sci-fi fan to enjoy it!" Jennifer L. Armentrout lives in West Virginia. All the rumors you've heard about her state aren't true. Well, mostly. When she's not hard at work writing, she spends her time reading, working out, watching zombie movies, and pretending to write. She shares her home with her husband, his K-9 partner named Diesel, and her hyper Jack Russell Loki. Armentrout writes Adult and Young Adult Urban Fantasy and Romance. She can be found 'brainstorming' on Twitter or stalking Goodreads while fighting her never-ending addiction to caffeine.